Today marks the official announcement of a new partnership between premium smartphone maker OnePlus and McLaren. United in their passion for speed, United in their passion for speed, the collaboration between the two brands will unfold in India on 12 December 2018 in India. The partnership incorporates both McLaren Automotive and McLaren Racing, one of the most successful teams in Formula 1 history. McLaren is renowned for innovation through technology and the fearless pursuit of better. 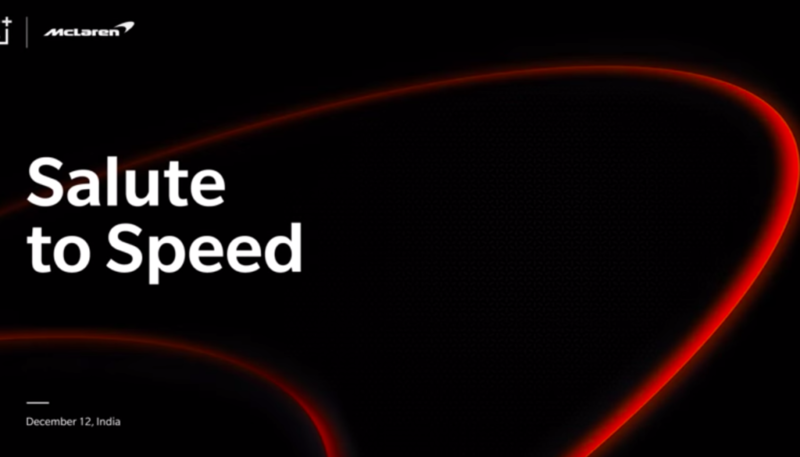 OnePlus is similarly renowned for pushing the limits of performance and speed. The premium smartphone brand consistently delivers the fastest experience – from lightning-quick gaming and app experiences without lag to OnePlus Fast Charge technology which has set a new benchmark for quick-charging solutions, to the superfast Screen Unlock. Joining forces will enable OnePlus and McLaren to unlock a new long-term technology partnership as they bring together the celebrated values which define the legacy of both brands – speed, craftsmanship, and an uncompromising dedication to continuous useful innovation. Creative collaborations have been a defining force for OnePlus since the beginning. In 2017, OnePlus teamed up with Parisian retailer Colette to produce the OnePlus 3T x Colette 20th Anniversary Edition – an all-black device pushing the boundaries of technology and fashion. And, combining technology, art and fashion, OnePlus worked with Jean-Charles de Castelbajac to produce the OnePlus 5 x JCC+Limited Edition “Callection” of colourful gear and technology. In April of this year, OnePlus announced a partnership with Marvel Studios to launch the OnePlus 6 x Marvel Avengers Limited Edition; paying tribute to the greatest lineup of superheroes. In 2017, OnePlus celebrated its anniversary in India by joining forces with the latest chapter in the Star Wars saga – The Last Jedi – in an exclusive collaboration for the OnePlus 5T Star Wars Limited Edition. More details about the partnership between OnePlus and McLaren, including a special announcement, will be revealed on 12 December 2018 in an event in India.